【Calming Mist】- Fill the air with soft swirls of cool,a strong stream of vapor that comes out ,help with dry skin,help relieve sore throat,creating a soothing environment in your bedroom or work space. Choose between Intermittent (on and off at 30-second intervals) and Continuous mist-timer modes. 【Auto Shut-Off】- When all water is used up,the diffuser automatically shuts off to protect from burning out and ensure safety,energy efficiency and peace of mind. 【Mood-Enhancing Lights】- From an array of 7 calming colors,choose the perfect light setting to enhance the relaxing ambiance.Or a night light for a kid's room. 【Quiet Operation】- A whisper-quiet ultrasonic operation makes this diffuser a great option for use in a nursery or work space. 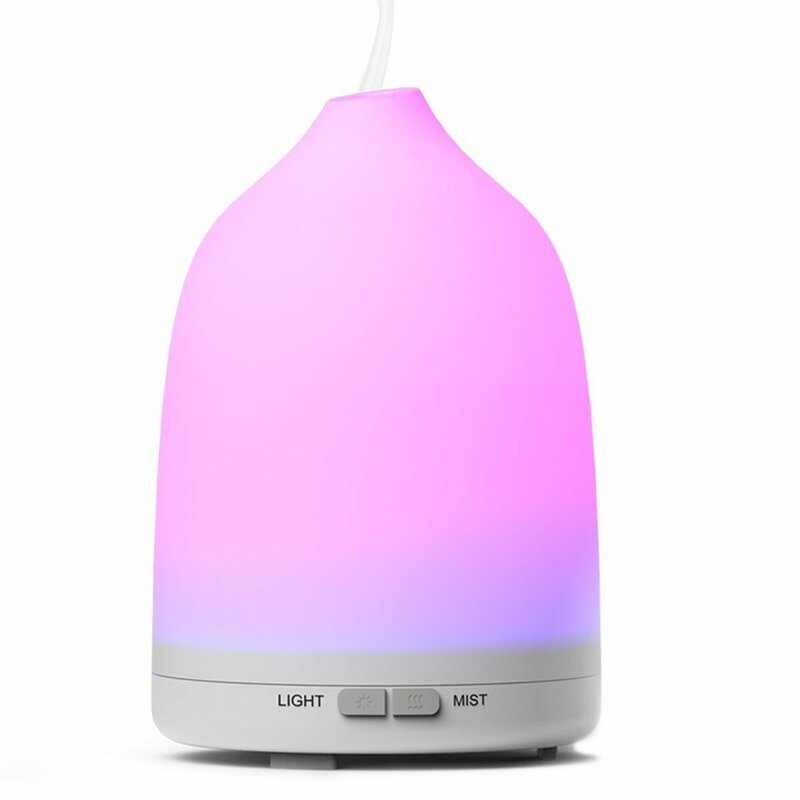 This diffuser is ideal for meditation and also allows for tranquil overnight use at your nightstand.